Master P (aka Percy Miller) was born on April 29, 1970 in New Orleans. He used money from a malpractice settlement to open No Limit Records, a store which became a label. His artists crowded the hip-hop charts in the late 90s and Master P expanded his empire into film, sports management, and socially conscious rap. In 1998, Forbes ranked him 10th on its list of highest-grossing entertainers. Rapper and hip-hop mogul Master P was born Percy Miller on April 29, 1970, in New Orleans, Louisiana. His parents divorced when he was very young, and Miller and his four siblings were raised by their father in New Orleans’ Calliope Projects, a neighborhood infamous for its high crime rate. “We had a house full of people and an empty refrigerator,” Master P recalls. Master P attended Warren Easton High School in New Orleans, starring as a point guard on the basketball team. After graduating in 1987, he briefly enrolled at the University of Houston to play basketball. However, he dropped out just months into his freshman year and transferred to Merritt Junior College in Oakland, California. He was studying business at Merritt when his grandfather passed away, and Master P received $10,000 as part of a malpractice settlement awarded his family due to the circumstances of the death. 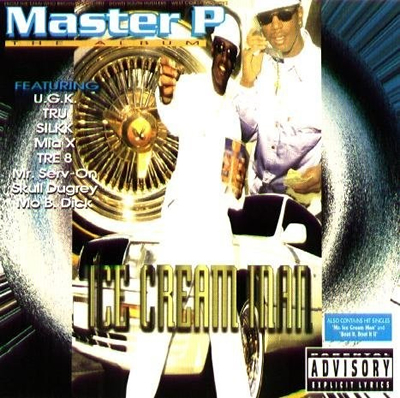 Armed with nothing but the settlement money and two years of business classes, Master P opened his own record store, No Limit Records, in nearby Richmond, California. Master P used his record store to scope out sales trends in the hip-hop industry. After perceiving an unfulfilled demand for more hard-edged gangster rap music, he expanded No Limit into a record label and self-produced his own debut album, Get Away Clean, in 1991. Neither Get Away Clean nor Master P’s 1992 release, Mama’s Bad Boy, sold well, and he decided to move No Limit Records back to his hometown of New Orleans. 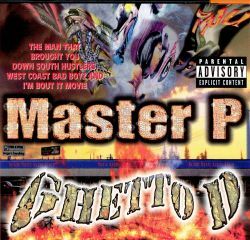 There Master P achieved his first real success with the 1994 album, The Ghettos Tryin’ to Kill Me, and its 1995 follow-up, 99 Ways to Die. Operating without a national distribution deal, Master P promoted the albums via word-of-mouth to independent music stores, managing to sell some 250,000 copies. Spurred on by the success of these early releases, Master P signed a distribution contract with Priority Records in 1996. He released his next album, Ice Cream Man, later that year and it peaked at No. 3 on the Billboard album charts. For the next several years, No Limit Records dominated the hip-hop industry, churning out a slew of hit records. Master P’s first new enterprise was No Limit Films. In 1997, he personally funded and produced a low-budget docudrama called I’m Bout It, earning an enormous profit when the film proved a surprise hit. This success landed No Limit Films a national distribution deal with Miramax. In another surprising extension of his entertainment empire, Master P founded No Limit Sports Management in 1997. His marquee client was running back Ricky Williams, a highly touted University of Texas football star drafted by Master P’s hometown New Orleans Saints in 1999. Represented by No Limit, Williams signed an incentive-laden contract worth far less than his market value. The contract was harshly criticized by other sports management agencies, with one agent calling it “a mockery of the business.” As many predicted, Williams failed to achieve his most lucrative incentives and fired No Limit in favor of new representation. At the same time as he entered the sports management business, Master P also plunged into the pro sports world as a basketball player. In 1998, he publicly announced his goal of playing in the NBA. As a first stepping-stone, he joined the Fort Wayne Fury, a team in the minor-league Continental Basketball Association. He later earned tryouts with the NBA’s Charlotte Hornets and Toronto Raptors, greatly exceeding most expectations but ultimately failing to land on an NBA roster. But in the early years of the 21st century, Master P suddenly reversed the course of his career, abandoning gangster rap in favor of social activism. He says that his son, Percy Romeo Miller Jr., born in 1989 and known by the stage name Romeo, inspired his sudden career turnabout. Master P remembers driving with his son one afternoon when one of his own songs came over the car stereo, and he felt compelled to turn down the volume so that his son would not hear the inappropriate lyrics. Master P and Romeo co-founded a new record label, Take a Stand Records, to promote hip-hop music with no profanity and a positive message. Master P has also established a series of P. Miller Youth Centers to counsel and educate underprivileged youth in cities throughout America. He released his first book, Guaranteed Success When You Never Give Up, in 2007.